This morning I went to market and at the corner of market street and Bay Street there is a little bar that has Carib fried bread that is stuffed with salt fish. Carib fried bread is about the size on an english muffin and usually fried in either lard or coconut oil. 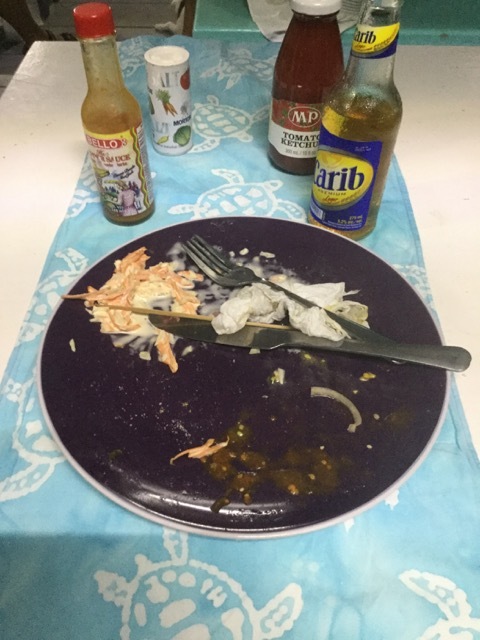 I may have to change my opinion of salt fish after this and a meal of salt fish, ache and rice in St. Kitts. 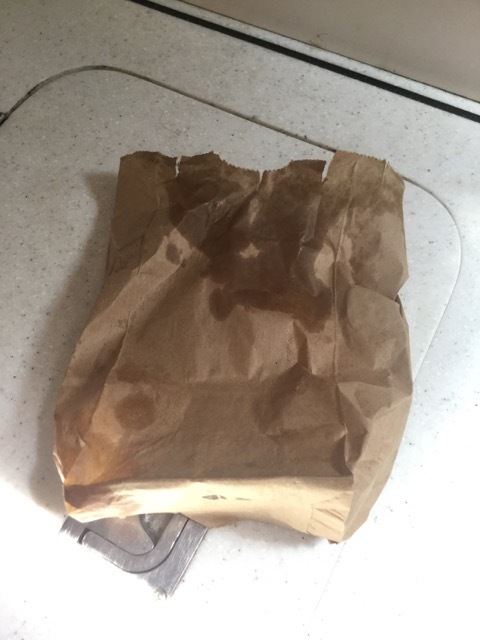 Notice the only thing left is the grease stain on the paper bag. :) It was awesome.